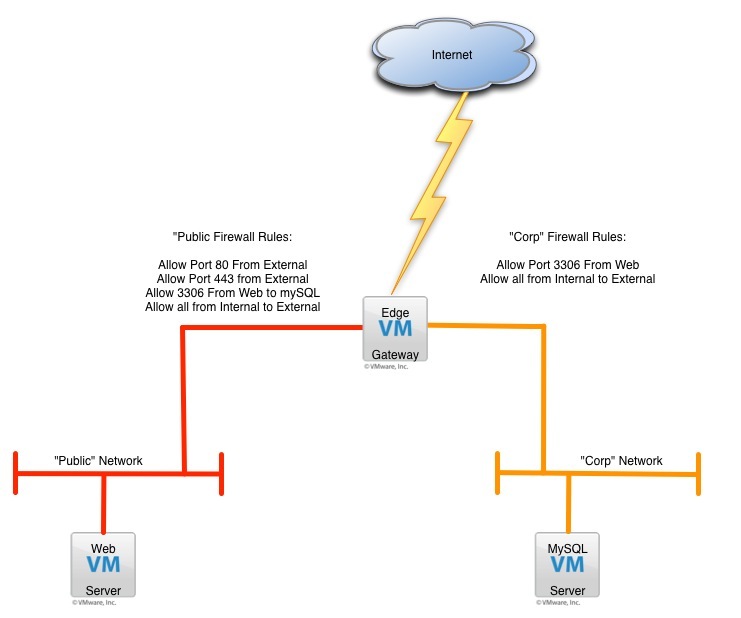 What Can I Run On vCloud Hybrid Service? This is a repost from Chris Colotti’s blog, chriscolotti.us. At every VMUG or other community presentation I always get asked the question, “So what can I run on vCHS?”. Well being the caring wise guy you all know I am, my response is always a question back. What CAN’T you run on vCHS? I jest, but in most cases the answer is pretty simple. I will leave out the obvious licensing questions and considerations of course. The real answer is there is nothing you are already running on vSphere on premise that you “Technically” couldn’t run on vCloud Hybrid Service. Let’s not forget that vCHS is in fact the vCloud Suite for all purposes here. It’s vSphere ESX as the hypervisor with vCloud Director and VXLAN backed network pools. It’s using vCloud Networking and Security so you have an incredible amount of advanced networking features which I plan on showing later. The bottom line is if you have an application running on vSphere in-house, you can move that workload to vCloud Hybrid Service. You get all the same fundamental “goodness” you know and love except you leave the infrastructure management to us. How many of you have a “Virtual First” Policy? I would contend that depending on the request, you could also have a vCloud Hybrid First Policy by default. If you have already accepted that any new workload will be virtualized, there may be nothing preventing you from running that new workload in a vCloud Hybrid Service virtual datacenter. Assuming of course you configure your networking and infrastructure first. Once those are in place a new workload with a new IP address will run just happily and does the user need to know where it’s actually getting its compute? That’s an easy one. How about a web server with a database back-end, such as WordPress? What about a popular blog site that’s a simple two tier architecture with separate networks and proper firewall rules in place? That’s right, I have so much faith in vCloud Hybrid Service, my technical blog, chriscolotti.us, will be running on it for a little bit just to let people know that something real is on there. The site is not “Test/Dev”, it’s real and live and people read it every day It may not be the biggest out there, but it’s a perfect example of Infrastructure as a Service with a simple application. I will be expanding on the vSphere to vCloud Hybrid Service setup as we build out a new lab for our team. I will also talk more about the importance for vSphere folks to understand how to write firewall rules and why it’s important to understand the concepts. As you can see below, nothing works without rules. Chris is a Senior Technical Marketing Manager with the vCloud Hybrid Services team with over 10 years of experience working with IT hardware and software solutions. He holds a Bachelor of Science Degree in Information Systems from the Daniel Webster College. Prior to VMware he served a Fortune 1000 company in southern NH as a Systems Architect/Administrator, architecting VMware solutions to support new application deployments. At VMware, in the roles of Consulting Architect, Chris has guided partners as well as customers in establishing a VMware practice and consulted on multiple customer projects ranging from datacenter migrations to long-term residency architecture support. Currently, Chris is working on the newest VMware vCloud Hybrid Service solutions and architectures for vSphere customers wishing to migrate to the VMware Hybrid Cloud Service. Chris is also a VMware Certified Design Expert, (VCDX #37). Another example: The VMworld Hands On Labs for vCloud Hybrid Service were also run on the service! Great point! I was going for simple, but you are 100% correct.